The Song that Reminds Me of Harry Potter [Tune in Tuesday] – my books. my life. Sometimes, often despite my best efforts, the outside world still seeps in while I’m reading. This can be annoying but it can also be enlightening. Every once in awhile my book and the real world align to create this wonderful thing. When this happens, it’s usually because I find music that perfectly fits a story. 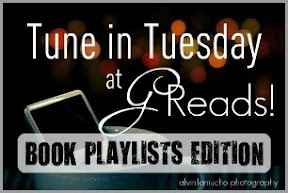 Which is why I love this month’s theme for Tune in Tuesday: Book Playlists. Although today I’m not actually going to give you a playlist, but just one song. When I was reading Harry Potter and the Order of the Phoenix, I also happened to be a bit obsessed with AFI’s Sing the Sorrow album. For that reason, I always associate that album with that book. And AFI can be so wonderfully emo that it totally works with the teen angst in Book 5. But there is one song in particular that never fails to remind me of Harry Potter. And I think the song totally works for Harry. It feels like the song is about someone who is alone – who is faced to deal with something awful on their own. 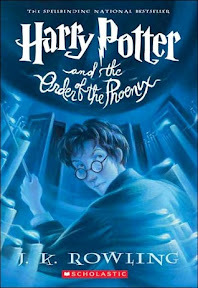 And while Harry is surrounded by friends, there are things he must face that no one can face with him. So take a listen and let me know if you agree (here is the YouTube link for you mobile site-users). Are there songs or albums that remind you of certain books? Thanks to Ginger at GReads! for hosting Tune in Tuesday. Don’t forget to stop by her blog to see what other Book Playlists people came up with. Love AFT! Great pick. Though I haven’t read HP. Can I tell you ho much I love AFI? The Leaving Song is one of my favorites by them besides On the Arrow and The Time Imperfect. I would never have tied AFI and Harry Potter together but it works wonderfully! I will listen to anything that reminds you of Harry Potter! I really need to get with it & continue this series. Especially if music like THIS reminds you of it! I would have to agree that this song fits perfectly, and now I have yet another song to add to my iPod. Michelle, you have seriously great taste in music! I totally paired an AFI song with Harry Potter when I reread the series two years ago. “Miseria Cantare – The Beginning” to go with Goblet of Fire, specifically the Death Eaters wreaking havoc at the Qudditch World Cup. Great pick. It’s been forever since I listened to Sing the Sorrow. I went to see AFI when they were touring in support of that album and it was such an amazing show. Pingback: The Sunday Salon: March Books Recap | my books. my life.